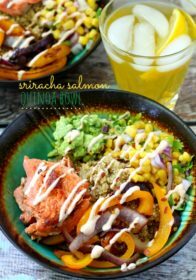 This Sriracha Salmon Quinoa Bowl is a fun twist on the burrito bowl, using quinoa instead of rice and salmon rather than pork or chicken. A flavorful blend of old favorites, like guacamole and cilantro corn join with new deliciousness from Stubb’s Texas Sriracha Anytime Sauce. And so much color- it’s a rainbow of superfoods! I enjoy my meals so much more when they’re bright and vibrant. 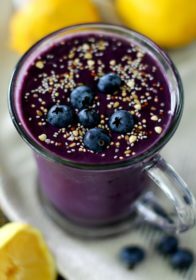 Superfoods are nutritious foods that have a positive impact on your health, like lowering cholesterol levels, and even helping to reduce the risk of some types of cancer. 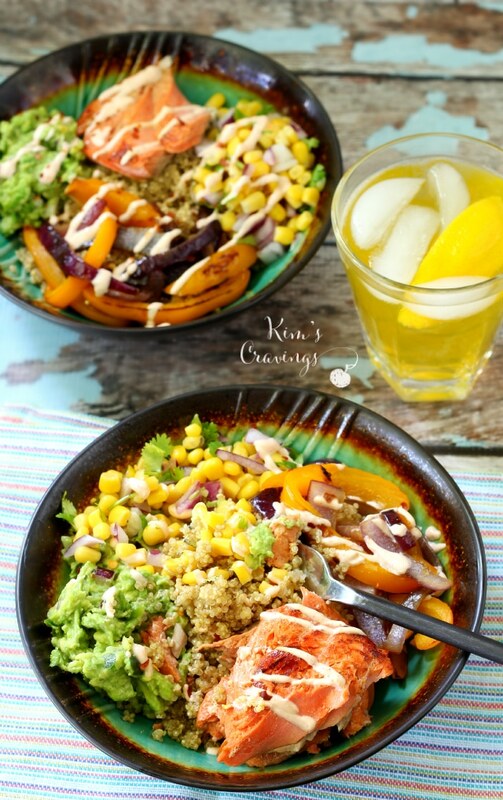 Tossed into this quinoa bowl, we have a myriad of ultra-healthy flavorful ingredients. Quinoa- A complete protein which contains 8 essential amino acids. 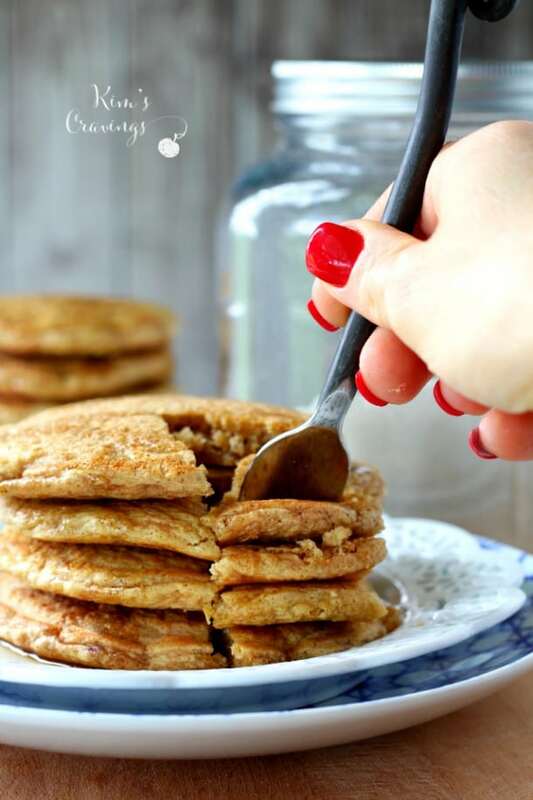 High in protein, fiber and gluten-free. 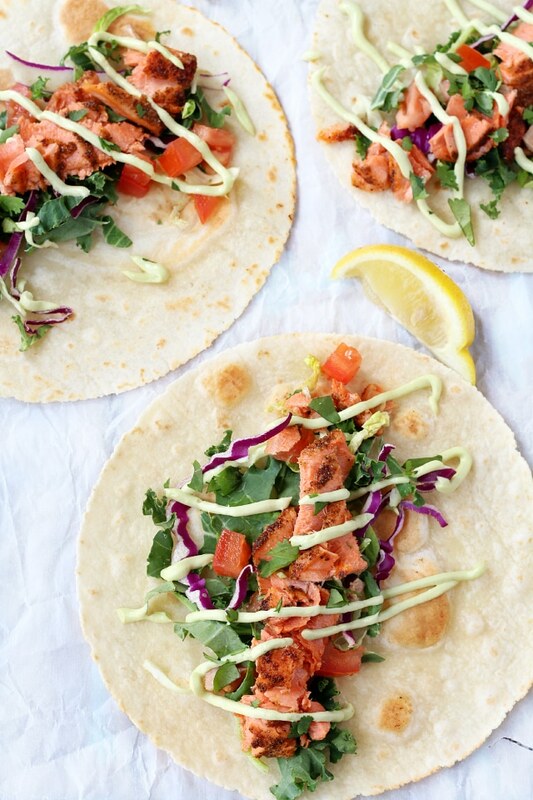 Salmon- Loaded with protein and the two blockbuster omega 3s — DHA and EPA — that make us happy, smart and pain-free. Avocado- High in healthy fats that reduce bad cholesterol levels, and raise good cholesterol levels. Bell pepper- Contain valuable nutrients, fiber and antioxidants. Red onion- High in antioxidants. Corn- Help to control diabetes, prevent heart ailments, lower hypertension and prevent neural-tube defects at birth. Honey- Liquid gold and a powerhouse of nutrients. Lemon juice- Rich source of vitamin C, an essential nutrient that protects the body against immune system deficiencies. Cilantro- High in antioxidants, and also helps to reduce inflammation. 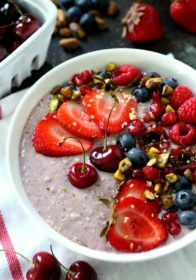 Greek yogurt- Provides important nutrients, such as calcium, magnesium, phosphorus, potassium and protein, which work together to promote strong, healthy bones. Not only is this salad packed with good-for-you superfoods, but the cooking method I use for my salmon is top-notch. I’ve been experimenting with salmon recipes for years and pan-seared salmon seems to yield the most perfectly cooked fish possible. The cooking method detailed in the instructions of this recipe is for two fillets of salmon, about the size you’ll find pictured at this link. 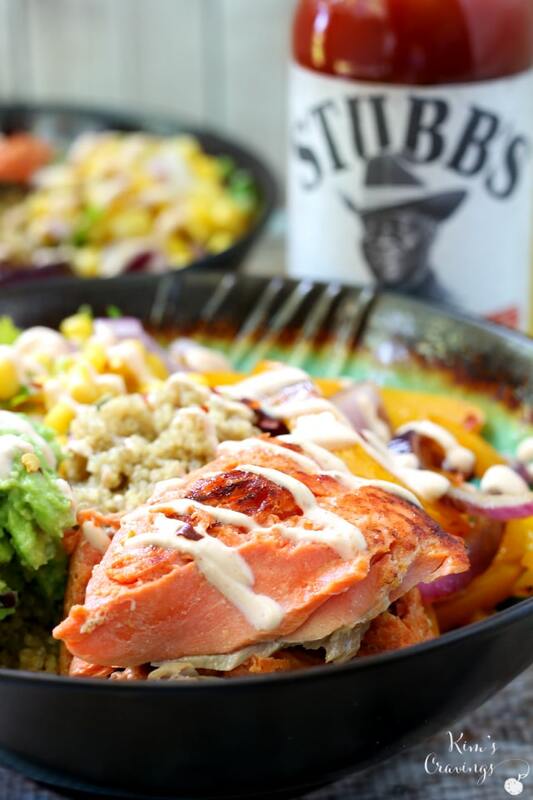 Stubb’s Texas Sriracha Anytime Sauce enhances and brings all of the yummy flavors of this bowl together. I marinated the salmon in the slightly sweet, slightly spicy Sriracha Anytime Sauce and then used the Anytime Sauce along with Greek yogurt and honey to whip up a creamy dressing. 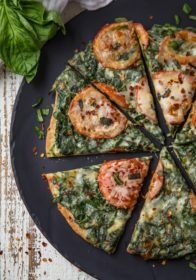 Quinoa is one of my favorite protein sources and it’s a lovely base for this meal because it easily takes on the flavors that it’s paired with. For this bowl of deliciousness, that means honey sweetened, sriracha spiced, with creamy guacamole and mouthwatering “cooked to perfection” salmon. 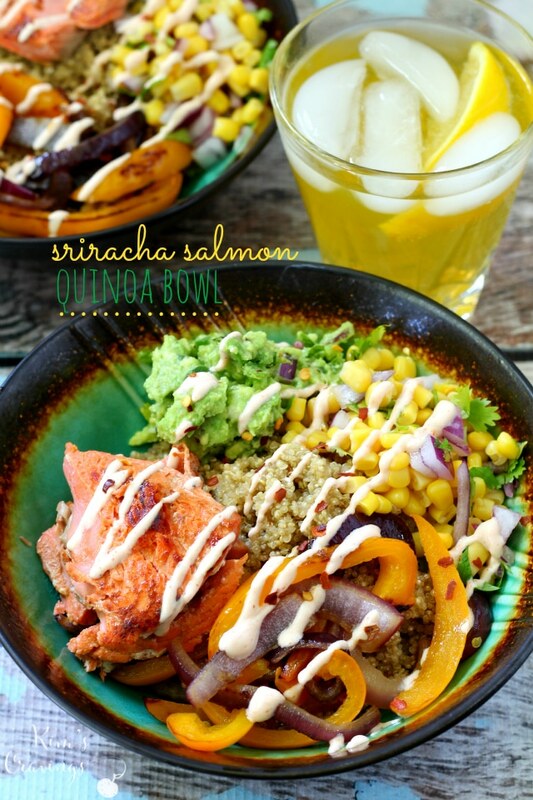 The Sriracha Salmon Quinoa Bowl is a fun twist on the burrito bowl. A flavorful blend of old favorites joined with new deliciousness! guacamole I halved myChipotle copycat recipe. Stir Stubb's Texas Sriracha Anytime Sauce, honey and lemon in a small bowl. Place salmon fillets in a large sealable baggie, pour in sauce, close baggie and allow salmon to become evenly covered in the sauce. Place in fridge for about 30 minutes or up to one day. In a nonstick pan, add about ½ tablespoon extra virgin olive oil and heat to medium-high. When the pan is hot, add the salmon, flesh side down and cook for 3 minutes with lid on the pan. Flip the salmon and cook fish all the way through (uncovered), about 5 more minutes. (This timing was perfect- you don't want overcooked salmon and it will continue to cook a bit even after removed from heat. 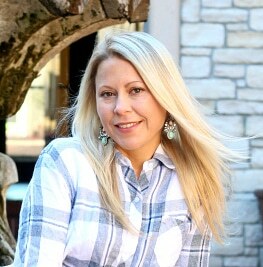 )* Set aside. Return the same sauté pan to the heat and add the oil. Heat over medium-high heat, then add peppers and onions. Sauté for 4-5 minutes until the veggies are cooked and softened. Remove from heat. Toss all ingredients together in a small bowl. Cook quinoa according to package instructions and divide evenly among 4 bowls (about 3/4 cup each). 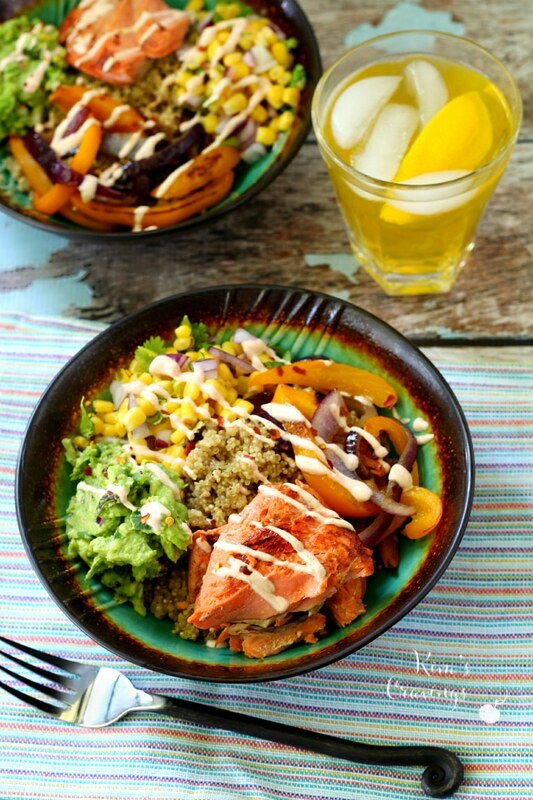 Divide the salmon, peppers and onions, corn salsa and guacamole evenly among the 4 bowls; adding those ingredients on top of the quinoa. 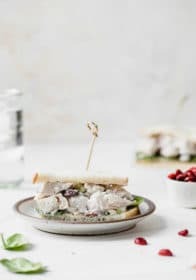 Drizzle or dollop a spoonful of creamy sriracha dressing over each bowl. Serve immediately, garnishing each bowl with crushed red pepper and fresh cilantro leaves, if desired. *If your salmon fillets are extra thick, you may want to cook them for 1-2 more minutes. Are you a fan of salmon… or want to be? My cooking method seriously makes for the most perfectly cooked salmon. Try my two other salmon recipes, with different seasonings, but the same instructions for cooking. Have you tried Stubb’s Texas Sriracha Anytime Sauce or any other Stubb’s products? Find Stubb’s at a store near you, using this handy dandy store locator or order using the Stubb’s online store. 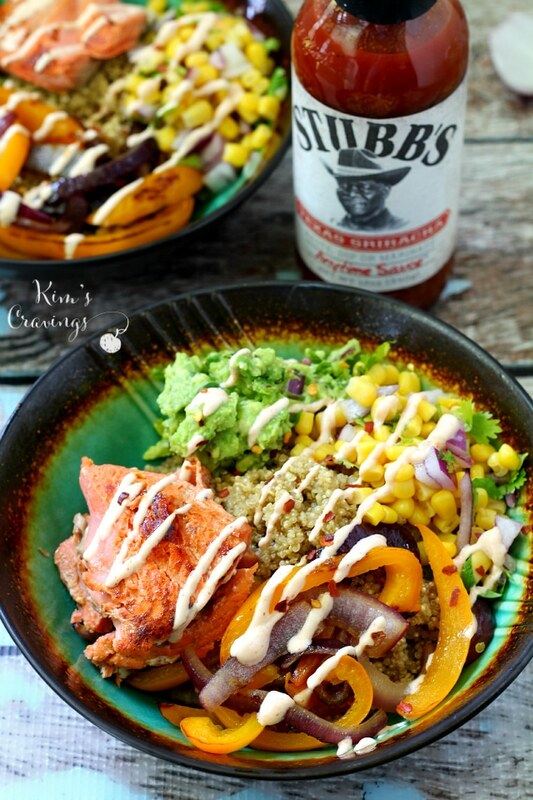 Thanks Stubb’s for sponsoring this post and providing us with the tasty Texas Sriracha Anytime Sauce that made this meal so wonderfully delicious! As always, all opinions are my own. This is everything I want in a dinner bowl! Literally the most perfect meal I’ve ever seen no joke! 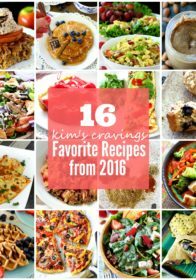 Bookmarking this so I can make it ASAP! If you get a chance to give it a try, let me know what you think. 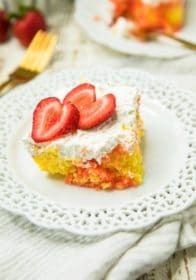 It’s truly one of my favorite recent recipes! I love salmon and sriracha, but never have had them together. Yum-o! It’s a pretty awesome combo! How long will this be good in the refridgerator? Considering this for work lunches. I’ve kept it in the fridge for 3 days with good results. I don’t have experience with keeping it any longer. Good luck and enjoy! 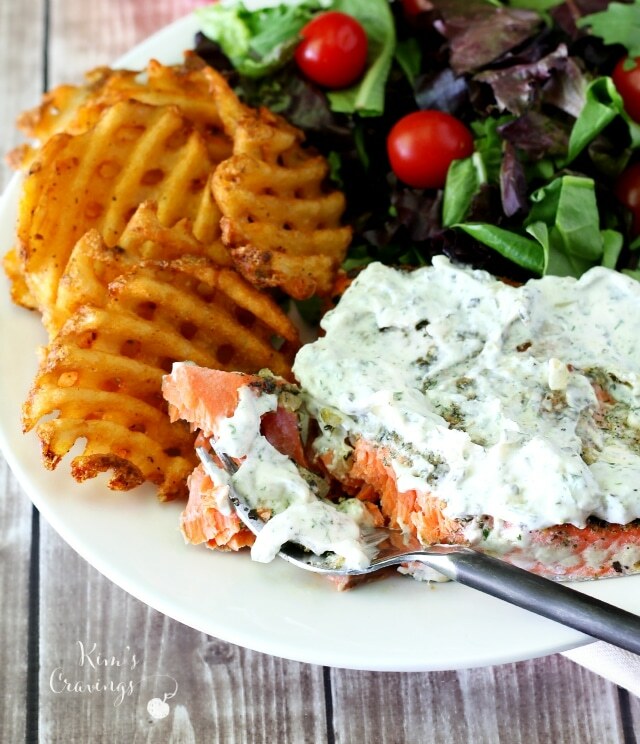 If you like salmon, you will love this recipe!